Curvy girls your search is over! 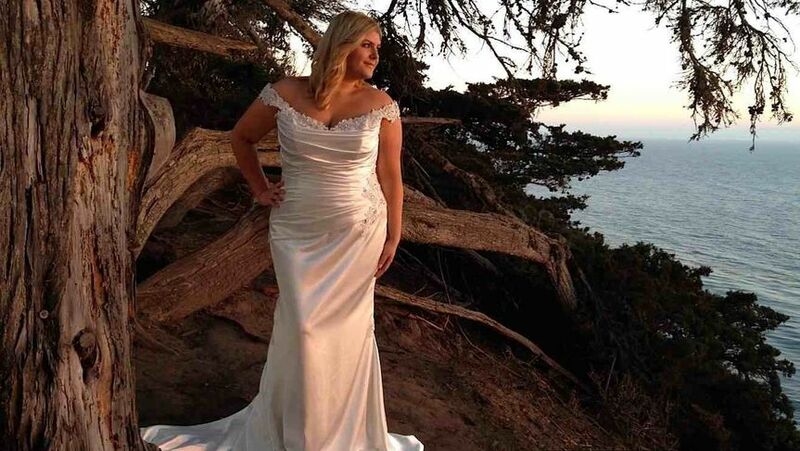 Della Curva is Southern California's finest plus-size bridal salon exclusively catering to curvy full-figured brides sizes 16-34+. 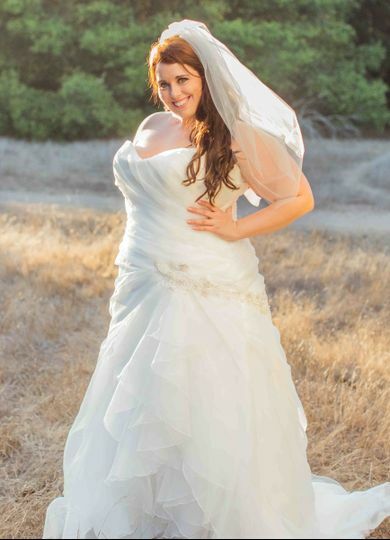 We proudly feature the largest and best collection of plus-size designer wedding gowns anywhere in the Southern California area. That means no more big box stores. No more trying to squeeze into a size 6. And no more tears brought on by bitter disappointment. An appointment at Della Curva is a relaxing, stress-free, and dare we say "fun" experience! After all, trying on dresses and shopping is supposed to be fun, right? 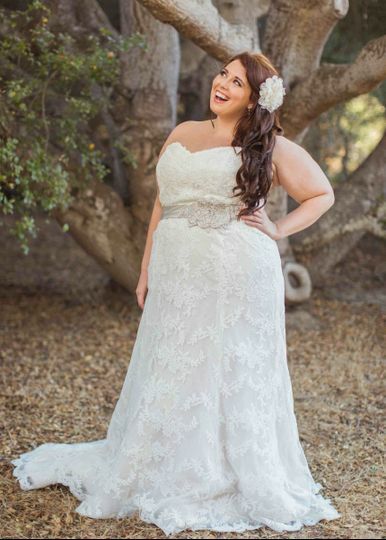 Della Curva has been created solely for the curvy bride and we promise that your inhibitions will fade away while browsing through and trying on our beautiful gowns - gowns that will not only fit but are also in styles that you will love! So, make an appointment with us. Come in, sip a glass of champagne, a cup of coffee, or a delicious fruit-infused flavored water and start shopping because at Della Curva you can rest assured that you will be given the attention, selection and respect you so richly deserve. 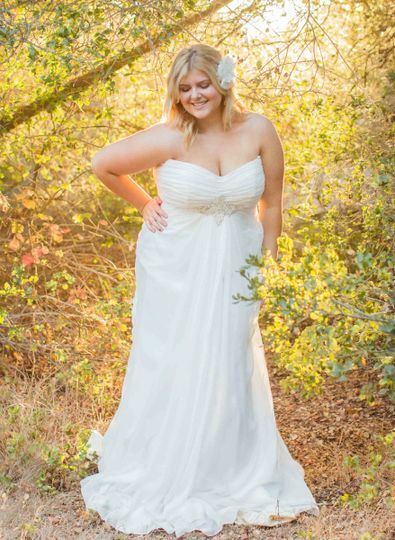 Emma S. from Long Beach, California says, "This is the best bridal salon period!" 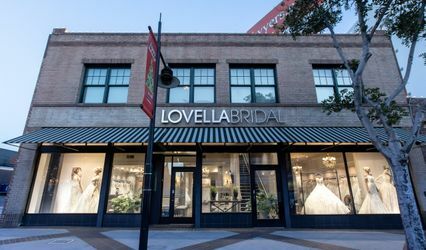 We can't wait to see you and help you find the dress of your dreams! 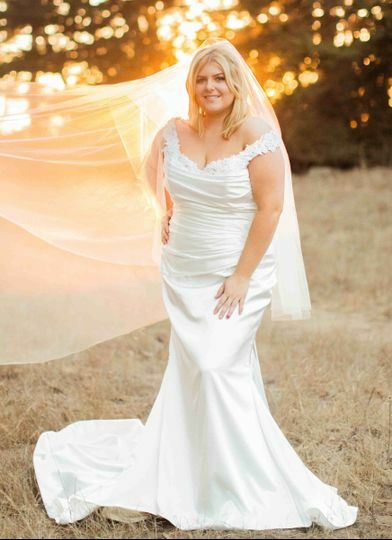 I heard horror stories for plus size woman looking for wedding dresses, over and over. How many stores do not have a good selection of dresses. I researched online and came across Della Curva in Tarzana, California. I nervously made my 1st appointment. I went in remembering a suggestion I read. Go in open minded. 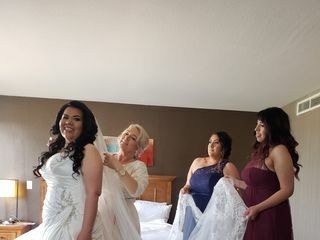 My bridesmaids pulled dresses, Ruby, my awesome right hand getting me dressed pulled her suggestions. I was flying through dresses. Till the one. I cried. My friends cried. I tried on more. But left knowing that I was in love with that Stella York dress. I always loved her dresses. 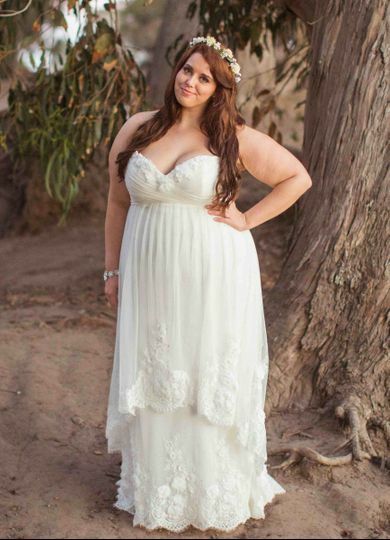 Thought being plus sized, I'd be out of beautiful dresses. I was wrong. I made my second appointment a couple weeks ago to go back. As my daughter said, "Mom you are walking around like you know everyone." That's just how comfortable they make you feel. 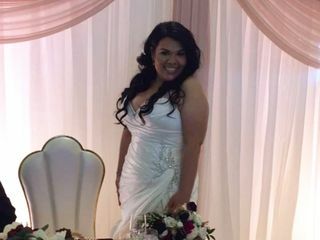 Yesterday, I twirled, sat, stared and fell more in love with my dress! Then they asked the question I only thought I would hear on T.V., "Are you saying yes to the dress?" I said, "YES!!" I cannot thank Della Curva, Ruby and Sara enough. 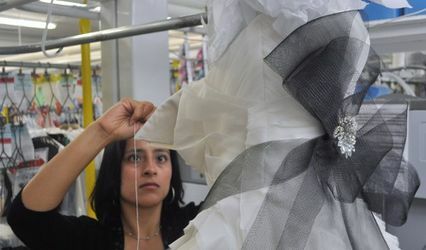 I was able to walk into a wedding dress store and TRY on every dress I wanted. They helped me, guided me and were honest with me. What more could a woman ask for?! Thank you Della Curva for being THE cutest wedding dress shop!! Ruby helped me find my perfect dress!! 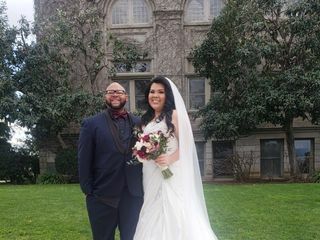 I felt like a beautiful bride in my dress and received so many compliments on it. I love that it’s appointment only and a small intimate boutique setting so you and your closest friends get undivided attention. The dress was in within 3 months of me ordering it. 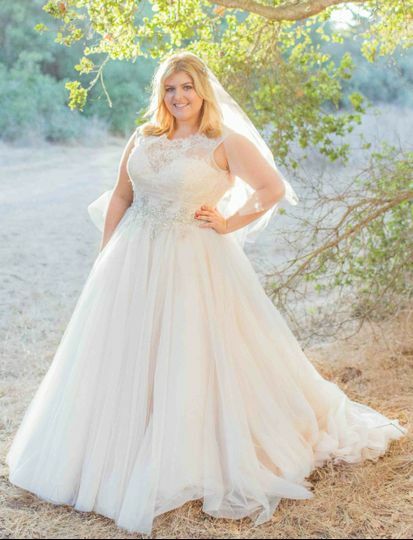 If you’re a size 14 and up and are worried about finding a gorgeous dress to compliment your shape this is the place you need to go to. 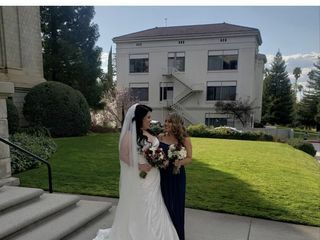 Ruby helped me pick out my dress and I couldn't have been more pleased with how amazing she was. 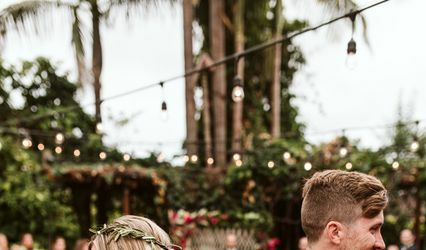 She worked directly within my budget and kept up the pace with my very rambunctious party. She helped me find the perfect dress and never hesitated to get me out of a dress I didn't like. 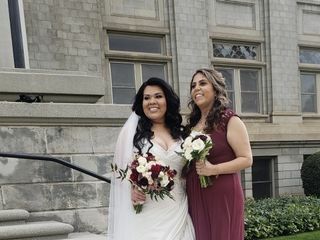 Being a plus size bride was very nerve wracking as I had gone to several Las Vegas locations that didn't have a wide selection of plus size dresses. Being at Della Curva and having dresses to try on in my size. Thank you again Ruby!